I'm a german Balalaika beginner. I find in your forum the Song "O Tannenbaum" with Tabs and play it. 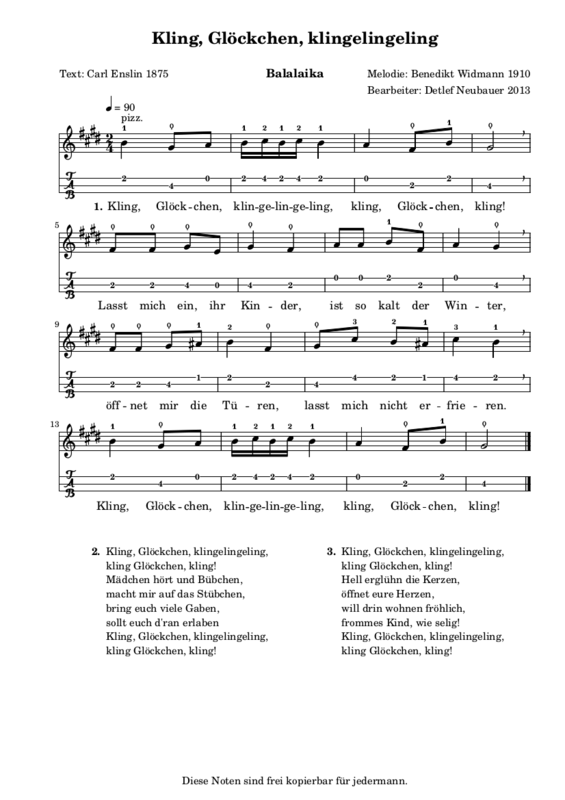 Now I want play the german song "Kling, Glöckchen, klingelingeling" under the christmas tree. I try Lilypond for first time, to make TABs for Balalaika. This my result. I m issing one note in the second row at the word "ihr". What can I do? about that note, you can try to play e instead of missing d (open 3 or 2 string). After some hours try and error with lilypond I have a new version. I use \transpose d e. I have no musical education. Everything I do is think logically. e' ist the lowest note on the balalaika. So the lowest note in the song must not be lower than an e'. Here comes the next try (with finger instuctions). It sounds good. If finger instructions are correct and you like it, you can add it to the music collection. And now, another attempt. 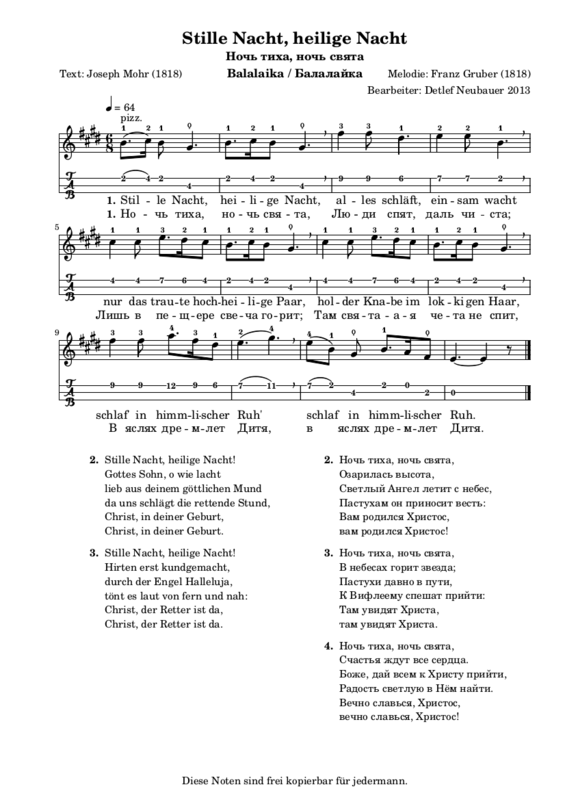 Very popular german christmas song "Stille Nacht, heilige Nacht". Are the finger instructions properly? After christmas i will play more russian songs. I can play "Калинка" (version from this web site). Last saturday i play "Калинка" in a church. 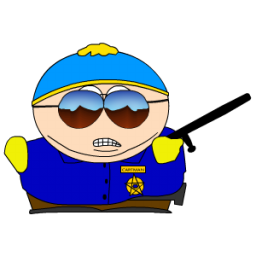 Next songs I will practice "Yaroslavskie Rebiata" and "Коробейники". thank you again. added a link to this thread on main site -- http://balalaika.org.ru/msheets.htm#3 -- at the bottom of this section. >> Are the finger instructions properly? there are moments where i'd rather use 3 or 2 finger (instead of thumb) to press 2nd string on 4th fret, when thumb finger was used just before that to press string on 2nd fret. it feels more 'natural' for me.